There are a number of Sports and Fitness Equipment Stores in India which facilitate sportswear and fitness equipments in the country. In a nation where hockey was invented, the fondness of youth for sports is ever increasing. With more and more varieties in shoes, cricket bats, helmets, badminton rackets, swinwear, treadmills, bicycles, gym equipments, fitness freaks have a wide list of variants to choose from. Here is a list of the Best Multi Brand Stores of India for Sportswear, Sports and Fitness Equipments. India’s largest multi-brand sports and lifestyle speciality retail chain, Planet Sports offers the largest collection of International sports and lifestyle brands. Planet Sports stores have extensive offerings for sportswear and equipment across all categories including running, tennis, training, golf, fitness, basketball, motor sports as well as other lifestyle products. Also available at the Planet Sports stores are lifestyle products across categories like footwear, apparel, accessories and sports equipments. Decathlon is a major French sporting goods chain store, with stores located throughout the world. It started with a shop near Lille, France in 1976. The retailer stocks a wide range of sporting goods, from tennis racquets to advanced scuba diving equipment, usually in large superstores. Decathlon Group also owns the Toboggan and Decat stores, the former sells sporting goods at discount prices, whilst the latter is a smaller high street sized version of the larger Decathlon superstores. SPORTXS celebrates one of the oldest human activities – sports. As a retail brand, SPORTXS creates a well organized and pulsating environment that at present showcases over 6000 products across 32 sport categories and 60 brands. As a brand idea, SPORTXS has created a platform for sport lovers, enthusiasts and professionals alike to come together and share their common passion. 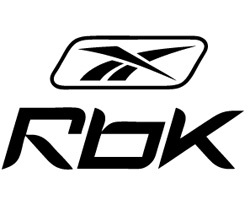 Reebok, India’s largest sportswear brand has launched the first ever authentic cricket & sports equipment store in Delhi. Adding to their already existing 675 stores, the new 2200 sq ft store will house all types of cricket and other sports equipment. The store will be your one stop shop for all cricket related needs, be it equipment, sports apparel, footwear or even to get a sneak peek at the equipment that top Indian cricketers actually use on the field. Metco Sports Pvt.Ltd a renowned company has been a leader in the sport goods and is manufacturing sports goods in India since 1952 under the Brand Name “METCO”. For more than half a century Metco Sports have been renowned as the best for Quality. During this time, Metco has continued to reinforce its position as the innovative leader in sports Equipment production and is providing vast scale of sports goods in India. Like Table Tennis Accessories, Table Tennis Table, Billiards/Snooker And Pool Table, Sports Nets, Athletic Equipments, Sports Mats, Basket Ball Boards And Rings, Cricket Equipments etc. Bhalla International (Vinex) is a well established Sports Equipment Manufacturing Industry in India since 1957. They market their products under the brand name VINEX and have been Awarded No. 1 in India for Highest Exports since last 4 Years. They manufacture wide ranges of Athletics Equipment, Agility and Speed Training Equipment, Boxing Equipment, Cricket Equipment, Netball Equipment, Hockey Equipment, Beach Toys, Rhythmic Gymnastics Equipment, Primary Sports Equipment, Primary Education Equipment, Playground Equipment, Table Tennis Tables, Balls, Football and Soccer Equipment, Basketball Equipment Fitness and Exercise Equipment etc. National Sports is a leading name in the sports goods manufacturing industry. 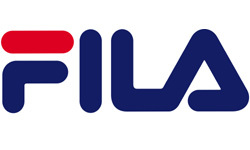 And with a rich experience of 56 years, we have carved a niche for ourselves in the global sports goods market. Today, based on our experience, R&D, infrastructure and human resources, we have been successfully exporting our products to 50 countries across the globe and our clients include some of the most reputed brands. 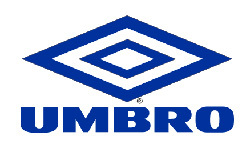 Umbro is an English sportswear and football equipment supplier based in Manchester, England. The company is currently a subsidiary of Iconix Brand Group. Umbro designs, sources, and markets football-related apparel, footwear, and equipment. Its products are sold in over 90 countries worldwide. Umbro currently manufactures all types of sports wear apparel including training gear and football boots. Adidas is a German multinational corporation that designs and manufactures sports clothing and accessories based in Herzogenaurach, Bavaria, Germany. It is the holding company for the Adidas Group, which consists of the Reebok sportswear company, TaylorMade-Adidas golf company (including Ashworth ), and Rockport. 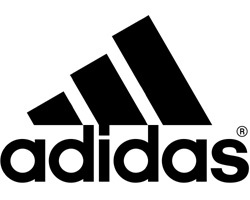 Besides sports footwear, Adidas also produces other products such as bags, shirts, watches, eyewear, and other sports- and clothing-related goods. Adidas is the largest sportswear manufacturer in Germany and Europe and the second biggest sportswear manufacturer in the world. Other Popular Sportswear Brands and Fitness Equipment Stores in India are Nike, Puma, Asics, BSA, Cosco, KSwiss, Converse, New Balance etc.